I think we are all a little tired of the salted egg stuff by now, aren’t we? 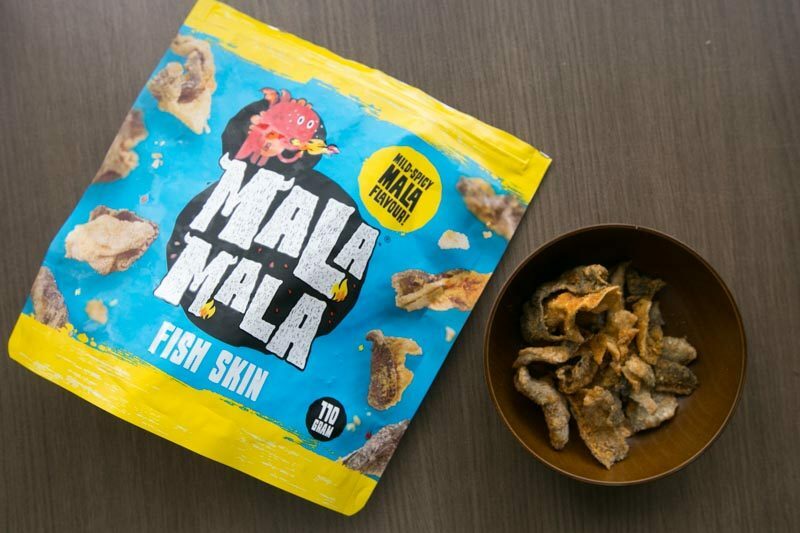 Well, Singapore’s first mala brand Mala Mala has added Mala Mala Fish Skin (S$8) into their repertoire, and let me tell you: this snack will be your new obsession. 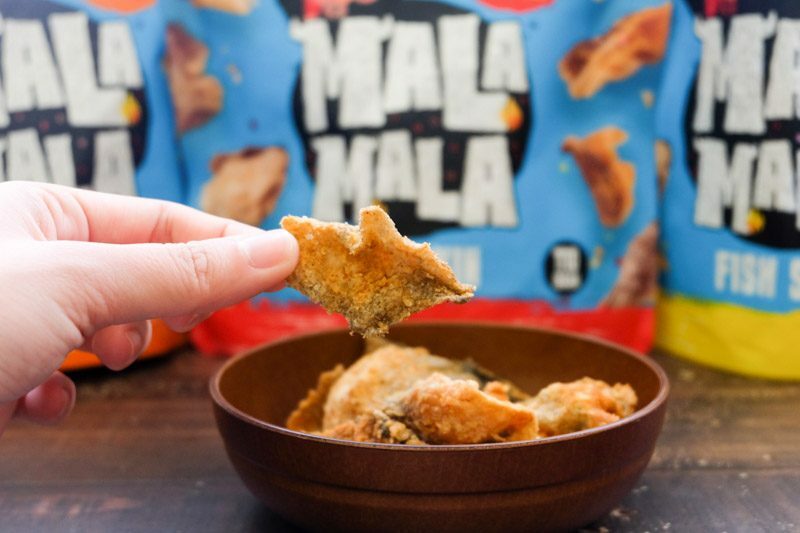 For the uninitiated, Mala Mala already has a legion of mala-flavoured snacks from potato wedges to mushroom chips. With fish skin added into the mix, I think we have the snacks we will ever need. 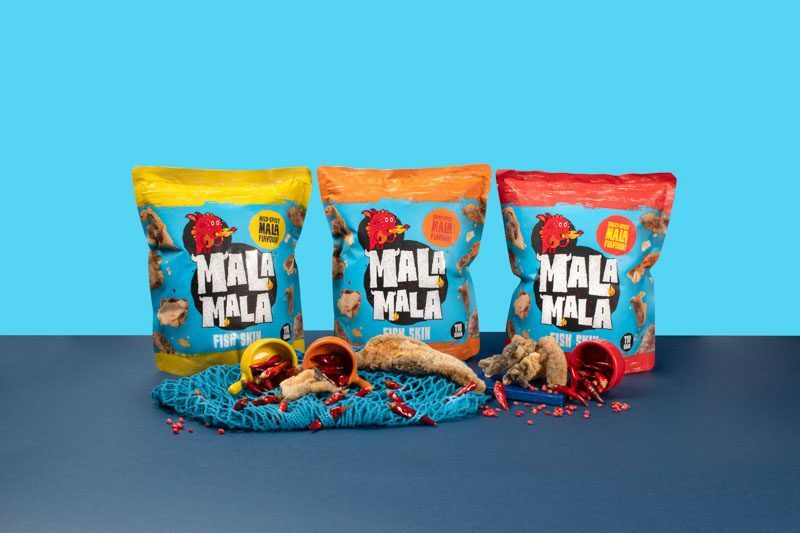 Similarly to their other mala snacks, they come in three levels of increasing spiciness. There is Mild Spicy, Super Spicy and Crazy Spicy. With some iced water and a glass of milk at the ready, it was time for some serious snacking. When you open the bag, the piquant smell of Szechuan chillies hits you right away. First up, Mild Spicy. The fish skin was crispy and dusted with Mala Mala’s special blend of spices. There is some heat from those fiery Szechuan chillies but for me, there wasn’t any numbing sensation. Still, quite a tasty snack. I do enjoy my fair share of spicy food, but one of my colleagues felt that this was quite intense for her already. On to the next level, Super Spicy. Boy, they really weren’t kidding. 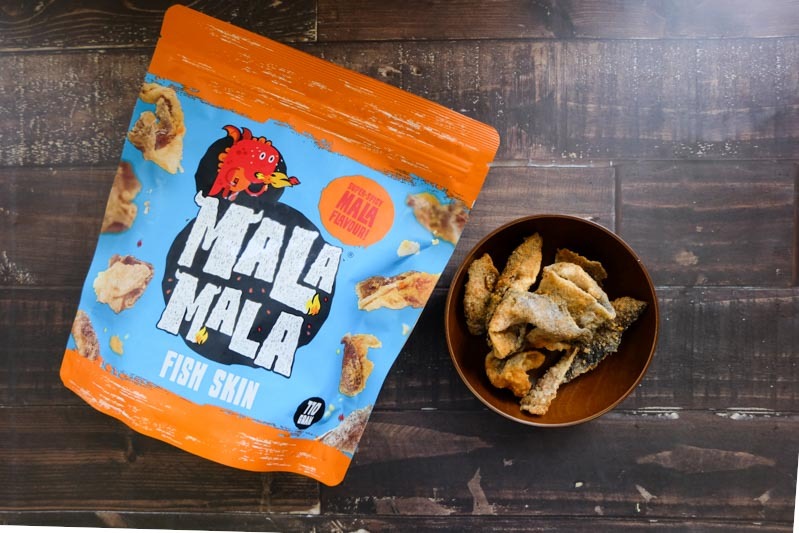 When you first bite into these crunchy fish skin pieces, the burn doesn’t hit you right away. You might even be lulled into thinking these aren’t spicy at all. Trust me, there’s a reason why they call it Super Spicy. Those fiery Sichuan spices linger way longer than it is comfortable on your tongue. Only as you reach for your second piece, you start to feel the slow burning and numbing sensation characteristic of mala. Things are taken up a few more notches in Crazy Spicy. Not for the faint of heart, these crackers pack a real punch. As I was munching on these, I could feel beads of perspiration slowly start to form. Needless to say, I was glad I had a glass of iced water within reach. Even though I was sipping water with every fiery piece of fish skin, the heat was downright shiok. Definitely great for sharing especially during the festive period. 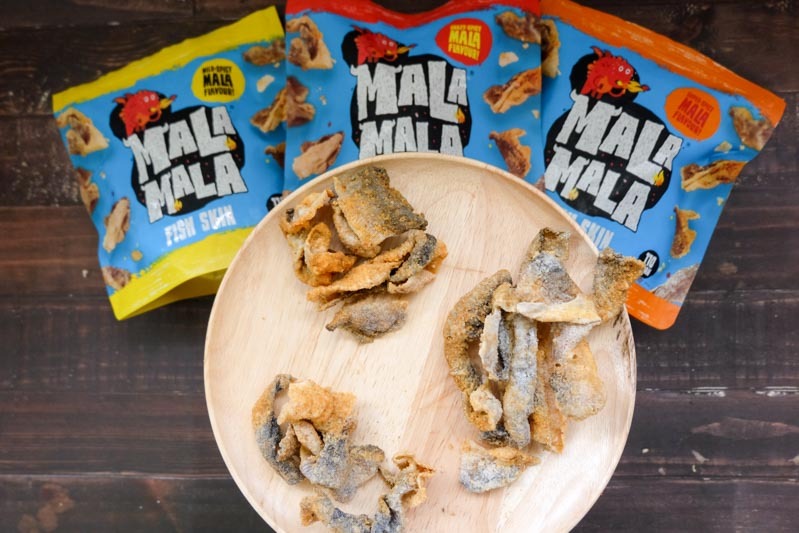 Mala Mala is offering a Limited Edition Exclusive Prosperity Fish Skin Bundle, where three packets will be sold at a sweet price of S$24. You can get his deal from now till 19 February 2019.